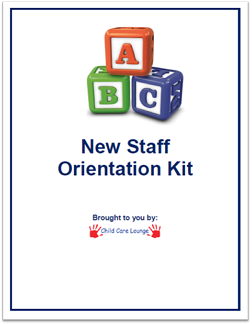 Just about anything you could need for your child care can be found online. Besides the convenience of shopping from the comfort of your home, you may be able to find some great bargains. Many companies have online catalogs. These sites are general suppliers and carry a wide variety of products including furniture, office supplies, decorations, toys, teacher aids and materials. From major suppliers and franchises to small mom and pop operations, there are many toy stores online. Some sites specialize in educational toys, infant toys, folk toys and more. I have tried to include just a small sampling. Although many providers and daycare centers are now utilizing child-centered curriculum planning or planning themes on their own, there is another alternative. There are sites that offer ready-made curriculum packets and programs. Here are some of the more popular ones. If you are in search of a specific craft material or hard to find kit, you may wish to start you search at these craft sites. Family daycare providers and center administrators can find a variety of services available on the internet. Daycare Hotline - Resources for starting and operating a daycare program. It wasn't so long ago that daycare providers, directors and administrators spent much of their time literally buried in a mountain of paper work. Now many tasks are simplified with software programs. Some of the tasks performed by the following products include: billing, enrollment records, client database, accounts receivable, and waiting lists. Parenta - Childcare services Innovative childcare management, training and marketing solutions for nurseries.